Nowadays, memes are virally cultural symbols and perfect for birthday wishes. 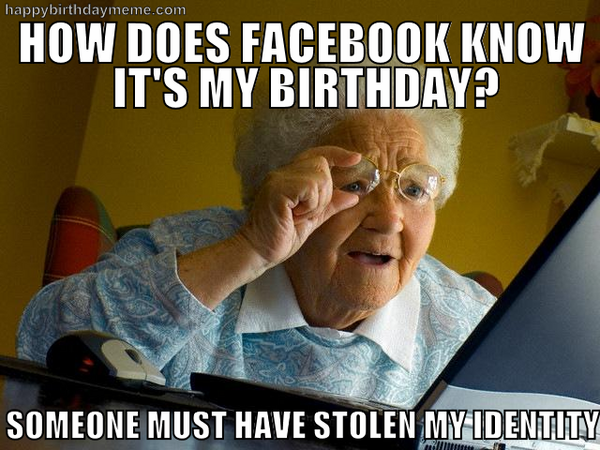 Happy birthday memes often stand out amongst the flood of birthday messages people receive on their social media pages. The great thing is there are literally thousands of birthday memes out there, which means you can find one that perfectly matches your friend’s personality and interest. Following are 8 happy birthday memes that are awesomely innovative. This is a perfect meme for anyone who loves Game of Thrones. 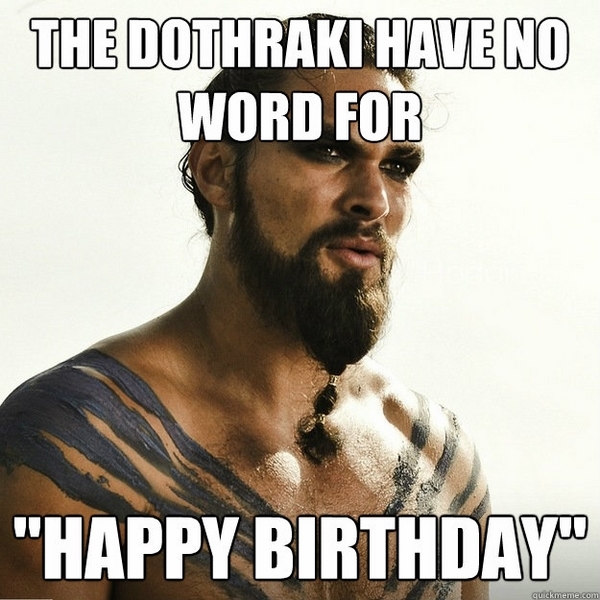 Getting wished by the Khal himself is no mean feat. Do have a tech-phobic friend who believes Facebook is the Big Brother who watches over us all? Then this birthday message is the one for him or her. 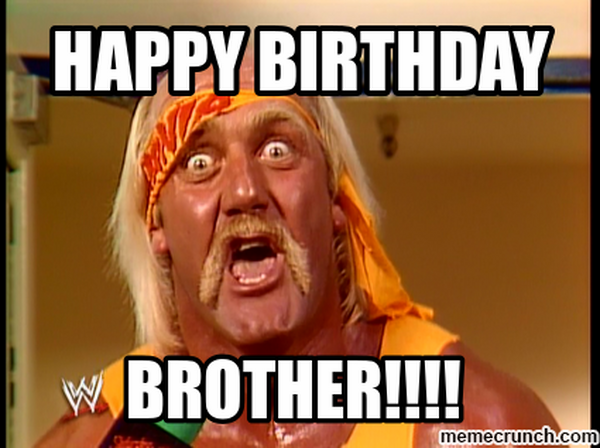 If the birthday boy was bitten by Hulkmania at some point in his life then this birthday meme can not only be funny but also be kind of nostalgic. You can also send this message to anyone you refer to as 'brother' in real life. If you don’t know who this guy is then there is a good chance you have been living under a rock. 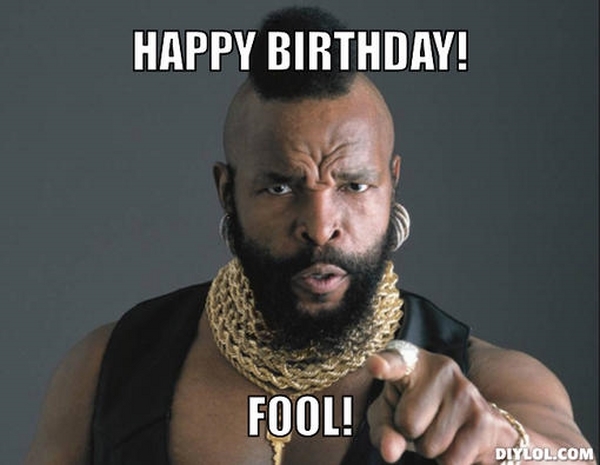 This Mr. T birthday meme is perfect for all friends. 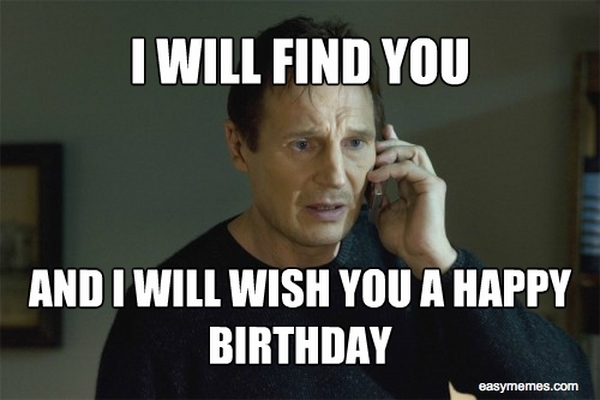 When Liam Neeson wishes you happy birthday Taken-style you better take it seriously. This birthday meme is hilarious and is perfect for friends, relatives, and even parents. 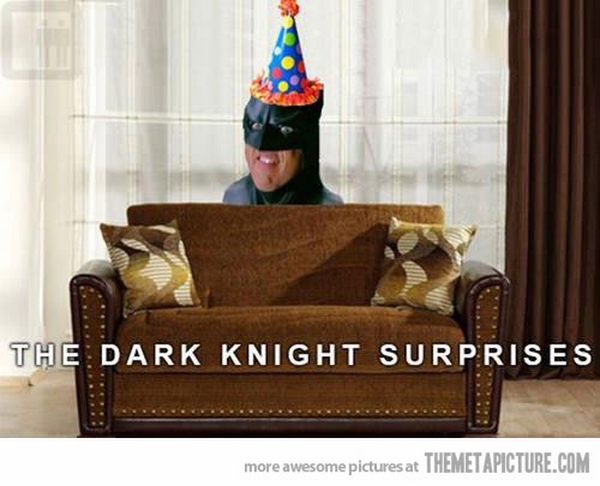 Batman birthday memes are pretty popular. This particular happy birthday meme from the defender of Gotham city is hilariously simple and notice how the meme doesn’t use the phrase 'Happy Birthday' but still gets the message through. Browse through your friend list in Facebook and you’re bound to find some people who you have no idea how you’re friends with. This message is tailor-made for them. 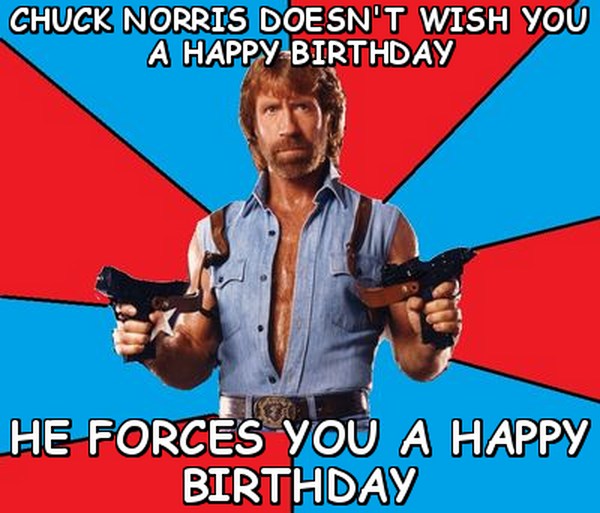 We had to end our list with a Chuck Norris happy birthday meme. This one is over-the-top funny and is ideal for almost anyone.